10/08/2011 · Kulana'ahane Trail I'm going to skip a lot of details on the fantastic yet very easy hike to the back of Moanalua Valley. 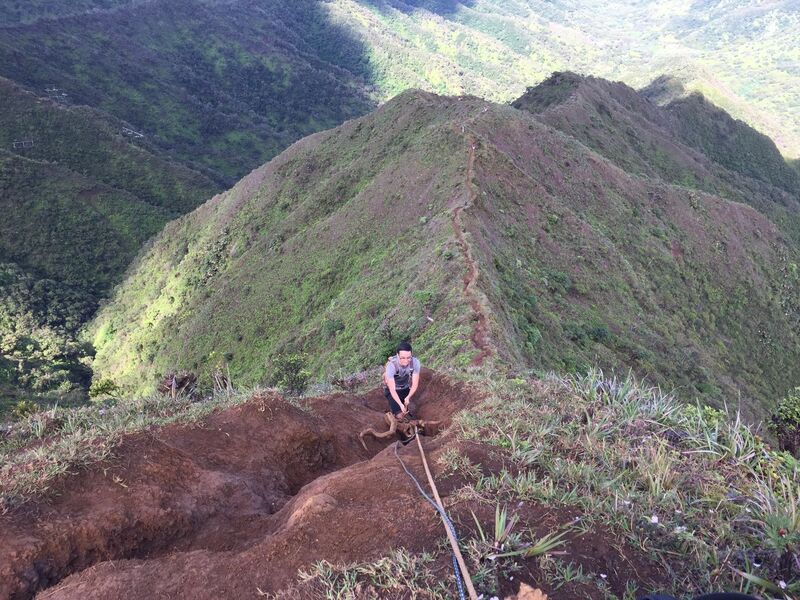 At 11 miles, this is a long but easy hike with a final assault to the Moanalua Saddle that will give your heart and lungs a workout. Just trail leads past the stove house ruins up to a look out with great views of the back of Moanalua valley. There are a grove of `ohi`a near the ruins of May's stove house. None of the `ohi`a in this groove there were flowering. Directions to Kulana'hane Trail: Park at Moanalua Valley Park is at the end of the Ala Aolani rd. Follow the little dirt road at the park, pass the gate and begin the trail. Follow the Kulana'hane trail signs.